When a couple separates it can be one of the most stressful events in an adult life. Some literature suggests that the breakdown of a relationship is the second most distressing incident a person can experience aside from the loss of a child. Not unlike the loss of a loved one, adjusting to separation often involves a period of “grieving” and will involve significant changes. 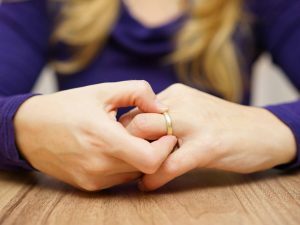 It is not unusual for each spouse or partner to experience different stages of grief at different times, so please be aware of this when dealing with your ex-partner. Keep the lines of communication open as much as possible, especially where children are involved. Remember that feelings of anger are natural but will pass with time, however parenting will last for your child’s lifetime and seeing or experiencing conflict can be detrimental to their growth and development, and have a lasting impact. Where possible, continue to communicate with your children, your ex-partner and the extended family. Most importantly, communicate with the children’s school or pre-school. If necessary make an appointment to discuss any issues of concern and introduce yourself to the teacher. Utilise a range of advice from qualified persons such as your local doctor, a counsellor and your solicitor. Some people find it easier to obtain legal advice before they actually separate, in cases where the relationship has recently broken down or it is imminent. This often prevents confusion and uncertainty when events occur in the early stages of the separation. It is not recommended to obtain counselling from a friend or family member. Whilst friends and family members can be an excellent source of support during the early stages of separation, they are often emotionally involved in the conflict and will be more likely to offer their opinion rather than assist in any therapeutic way. We always recommend you consult a professional, if needed. It is not recommended that you over indulge in either of these areas. Please seek professional assistance in this area if required – our office can provide you with a range of support and counselling services if necessary, most of whom offer free assistance. Please seek legal advice before a change of school and where possible consult your lawyer before you move out. Obviously, for some people this is not possible if the domestic situation is violent. If you do move out for any reason and your name remains on the lease or title to the property, there is nothing preventing you from moving back in immediately (unless there is an ADVO in place). Please ask us if you remain unsure of your rights in this regard. During the early stages of separation money issues will be at the forefront, especially while you are working out long term arrangements or an acceptable property settlement. We recommend that anyone who is not employed, or is on a low income, obtain immediate advice from the Department of Human Services about financial assistance such as Centrelink, and to apply for an assessment for child support, if appropriate. Make an appointment with the Department of Human Services without delay to confirm your financial situation. If you are still finding it a struggle, advise your solicitor and we can recommend other avenues of assistance and options available to you. In some circumstances, it is possible to obtain an Order to exclude the other party from the home after separation. There are very specific provisions that need to be taken into account before the court will make such an Order, however if you are seeking to remain in the home and exclude the other party please ask your lawyer for assistance and advice. With all applications of this nature there are costs involved and these need to be carefully considered before any application is made.